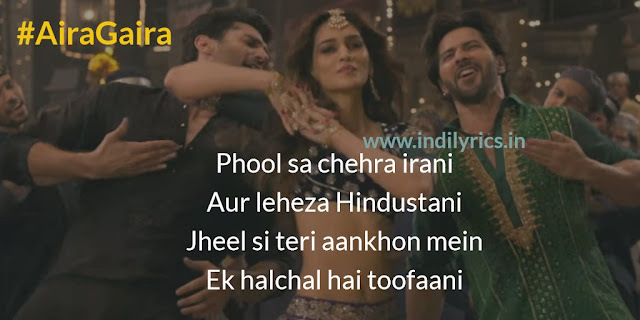 Aira Gaira Full Song Lyrics with English Translation and Real Meaning Explanation from upcoming Bollywood movie Kalank, the groovy hindi track has been composed by Pritam while Amitabh Bhattacharya penned the lyrics, Antara Mitra, Javed Ali & Tushar Joshi sang this song. The music is available under the label of Zee Music Company. The audio mp3 version of Aira Gaira from Kalank is free to download from Gaana, Wynk, JioSaavn and other onine music portals. The movie stars Varun Dhawan, Sanjay Dutt, Madhuri Dixit, Alia bhatt, Aditya Roy Kapoor and Sonakshi Sinha. Why do you call them good for nothing nobody? Why do you think your lovers are good for nothing nobody?